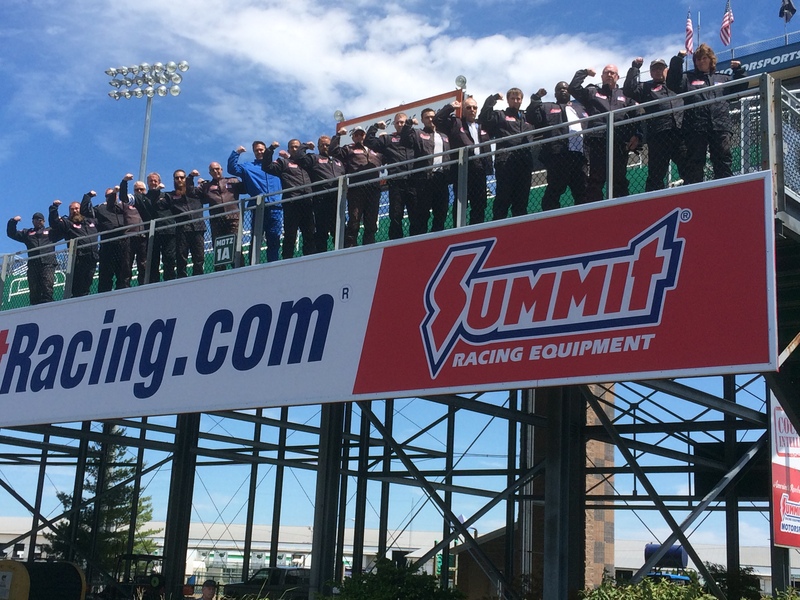 Summit Racing Equipment - Sponsor Spotlight! Oct.28.2016Summit Racing Equipment – Sponsor Spotlight! Part of what makes a business successful is experience. Another part is the quality of people who support that business. 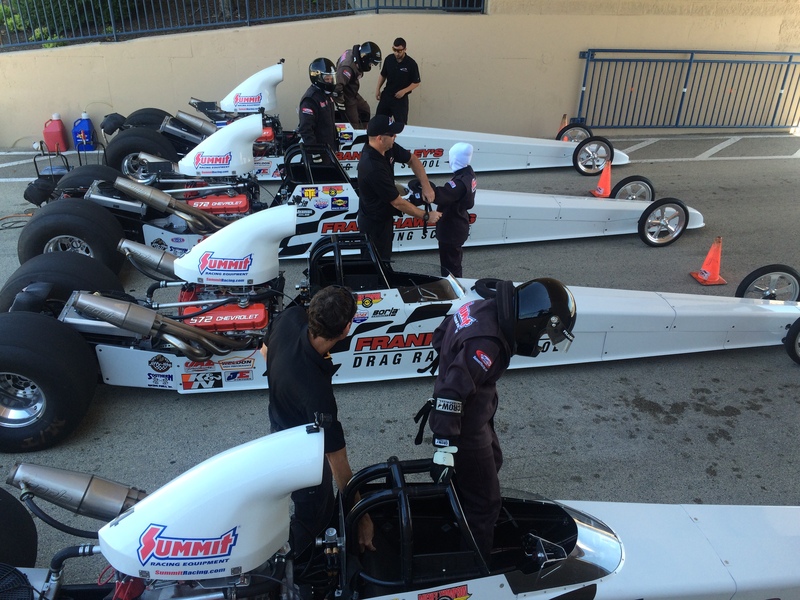 Frank Hawley is a two-time NHRA Funny Car champion, one of the sport’s 50 Greatest Drivers, and, for more than 30 years, the owner and lead instructor at the Frank Hawley Drag Racing School, so the experience is a no-brainer. And the support? Well, when companies like Summit Racing Equipment spend year after year supporting the school, it’s obvious Hawley has built a credible empire based on results and customer satisfaction, both for racers and marketing partners. Jim Greenleaf, the motorsports and events manager for Summit, said the school has provided his organization the ability to reach out to new groups and new clients. “We were on board with Frank before I was in this position,” he said. “I’ve been with the company 20 years, so in the eight years I have been in this capacity, we’d already started a relationship with the school and Frank. “We have been with Summit for a long time. Summit has supported our sport for many years at both a Sportsman and a Professional level. I think our customers, the racers and enthusiasts have come to rely on Summit as the source for performance parts. I know that my staff uses them on a regular basis. It’s one stop shopping, with great service and great prices,” said Hawley. Greenleaf said Summit Racing Equipment maintains its relationship with Hawley and the driving school due to both the programs the former drag racing champion provides for students and Hawley’s abilities to teach and motivate. When many think of the NHRA, they think of the Mello Yello Series and its Pro drivers. While Summit supports drivers such as Pro Stock champions Greg Anderson and Jason Line and Funny Car driver Tim Wilkerson, the company’s bread and butter comes from the Sportsman ranks. 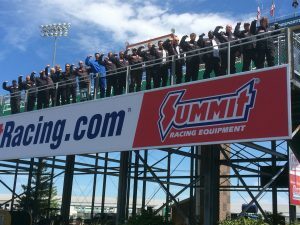 Hobby racers and part-time drivers who have full-time jobs outside the sport are the ones Summit Racing Equipment wants to reach the most. Frank Hawley’s Drag Racing School gives them that opportunity. And to Jim Greenleaf and many other automotive industry representatives, Hawley and the school is a great way to reach those drivers. Regardless of whether it’s someone looking for a couple days of fun in a race car or someone looking to follow in Frank’s championship footsteps, Summit knows the school is a capable method of reaching a new customer base. Contact the School at 866-480-7223 for information on any of their programs, class dates & locations and also visit their website at www.frankhawley.com. Follow them on Facebook, Twitter, Google+ and Instagram! Gainesville Raceway, Gainesville, FLSuper Comp/Super Gas/Bring Your Own Car - Contact us to Book! Route 66 Raceway, Joliet, ILSuper Comp/Super Gas/Bring Your Own Car - Contact us to Book!